Getting a secured loan can help improve your credit score if managed wisely. Secured loans are loans granted based upon some collateral. That collateral could be your savings account, certificate of deposits, stocks, bonds, automobile, jewelry, equity in your home and any other valuable asset. You can get a secured personal loan even with bad credit; however, the real benefit in secured loans is that your credit rating will increase with timely payments. Think of bad credit as a temporary situation and your ultimate goal is excellent credit. Secured credit can move you towards that goal in a short period of time. Most banks and credit unions offer savings secured loan. The borrower must have a savings account with the bank and a portion of the money in this account is used as collateral to secure a loan. The loan equals the amount pledged to secure the loan. The money in the savings account is then frozen in the account but it will continue to earn interest. As the loan is repaid the secured portion of the savings account is freed up for use or continued savings. This is a very low risk loan for a bank or credit union so the interest rates should be very low on this type of loan. The major benefit of a secured loan is that payments are reported to the major credit bureaus and has the same advantages of a regular loan being reported to the credit bureaus. Your credit report will improve and your credit scores will increase. Secured credit is a great way to get on the rebuilding road of credit. A great strategy to further improve credit through secured loans is to piggyback more than one secured loan. Learn more about piggyback secured loans. 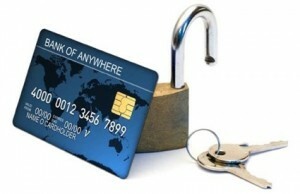 A secured credit card works much like a secured bank loan. Your credit limit is determined by the amount equal to the deposit you make. Make sure the card reports to all three major credit bureaus and the application fee and interest rates are reasonable. Get a card that will convert to a regular credit card after a series of on-time payments. The First Progress Platinum Prestige MasterCard® Secured Credit Card requires no credit history or minimum credit score for approval. It is a full-feature platinum MasterCard® good for car rental, hotels and anywhere MasterCard® is accepted. Monthly reporting to all 3 major credit bureaus. The card is secured by an FDIC-insured deposit of $300 to $2,000. Complete the online application now! Auto title loan companies will advance you a loan based upon the ownership of your vehicle. No credit check is required. These companies will put a lien on your vehicle and retain your title (ownership documents) until the loan is repaid. You must own your vehicle free and clear and the vehicle must be in good condition. The loan amount varies depending on the age, type and condition of the vehicle. You retain the vehicle and are able to use it during the term of the loan. If you default on the loan, the vehicle will be repossessed and sold for the defaulted amount. These are short term, very expensive secured loans. Pawn shops will make small, short-term loans based upon the value of personal property such as jewelry, electronics, small appliances and even musical instruments. The pawn shop will appraise your property and give you a small loan based upon their appraised value. The loan term can be from 30 days to 6 months. If you do not pick up the property the pawn shop may allow you to pay interest on the loan while they retain your personal property. The fees are generally high and the property will be sold if you do not claim it by the end of the loan term.